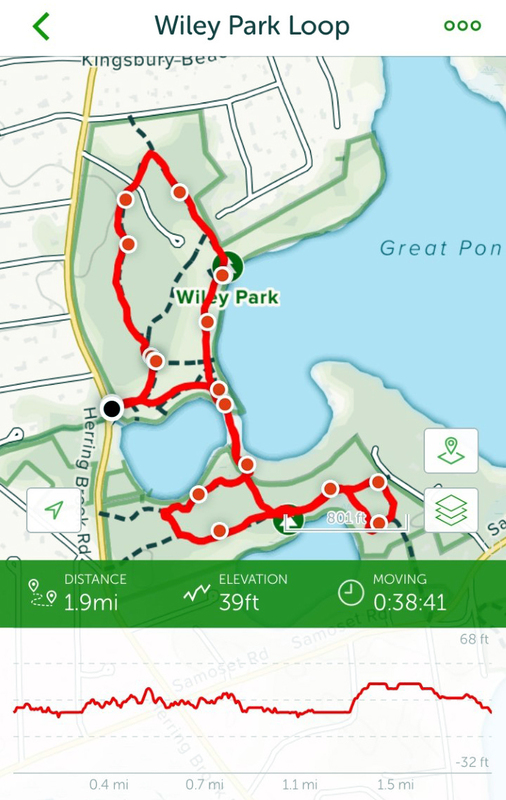 Our Wiley Park Loop Hike On Cape Cod Is On The AllTrails App. One of our favorite hikes in this area is at Wiley Park. It is so close to home , easily accessible and always a new adventure. A photograph of the entire hike is at the end of the blog. 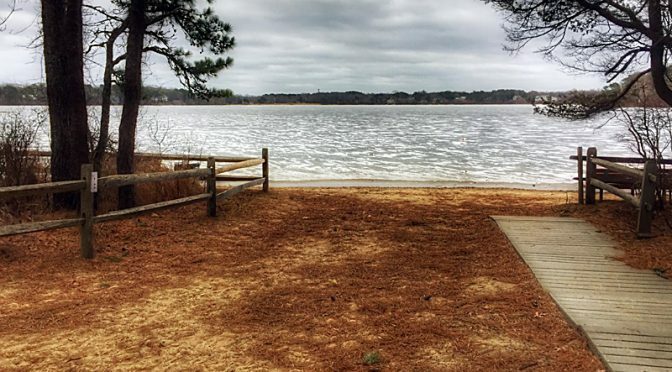 You can park your car on Herringbrook Road and hike a nice 1.9 mile loop through the woods, along the shores of Great Pond and over the bridge to its attached kettle pond. It is really pretty any time of the year. 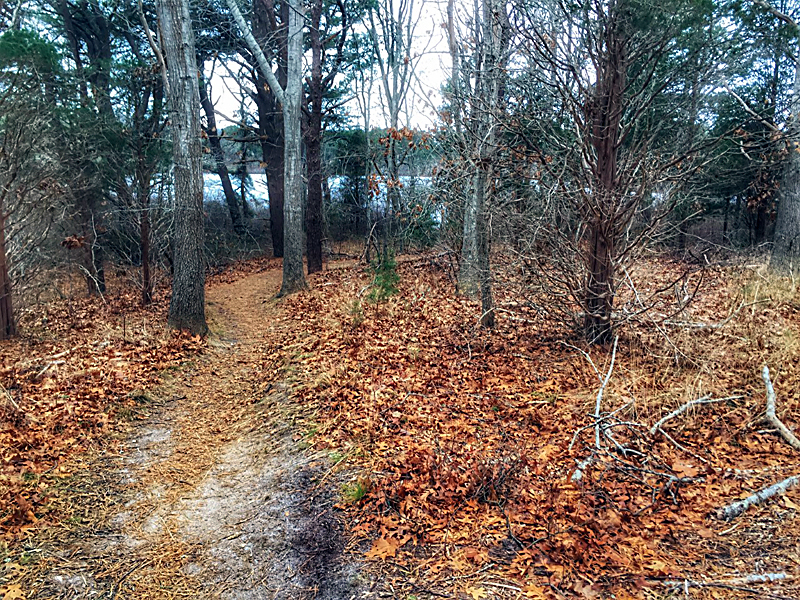 There are many little off-shoot trails so you can lengthen or shorten your hike as you like. It is a very easy hike and fun for the whole family! 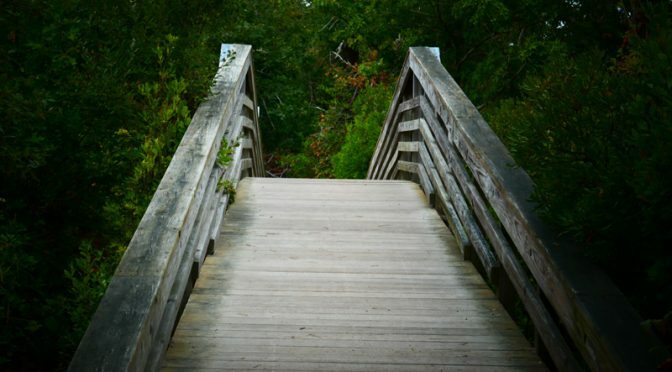 The Bridge At Wiley Park In Eastham On Cape Cod. 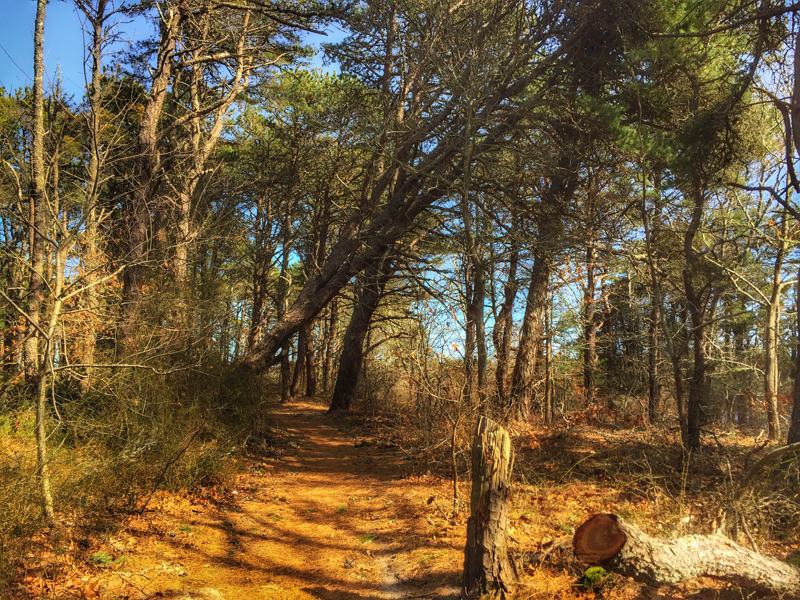 Wiley Park is one of my favorite places to hike here on Cape Cod. It is so pretty with 2 kettle ponds within view. It is especially nice when it is chilly outside or when the wind is blowing as it is very sheltered. 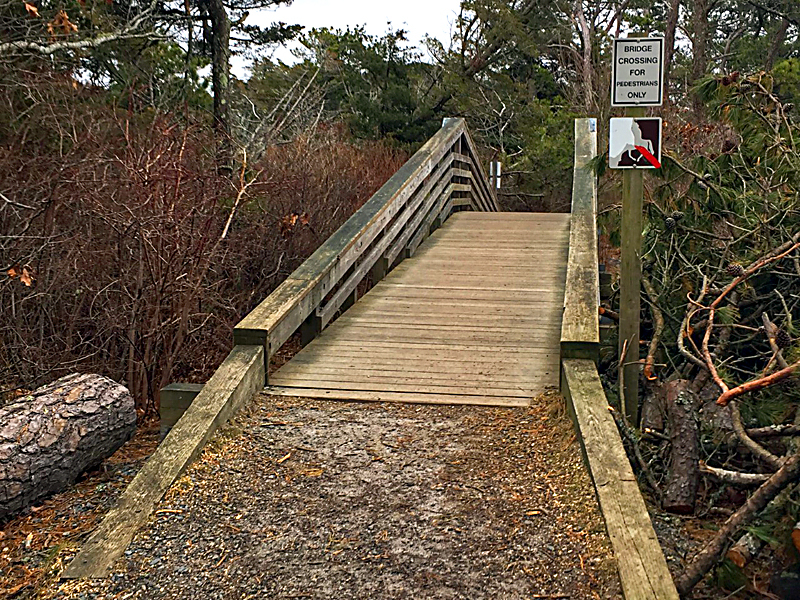 This is the bridge that connects the trail over the 2 kettle ponds. I really like how it looks. What do you think? As we were hiking at Wiley Pond which abuts Great Pond, I saw a bird in the water out of the corner of my eye. 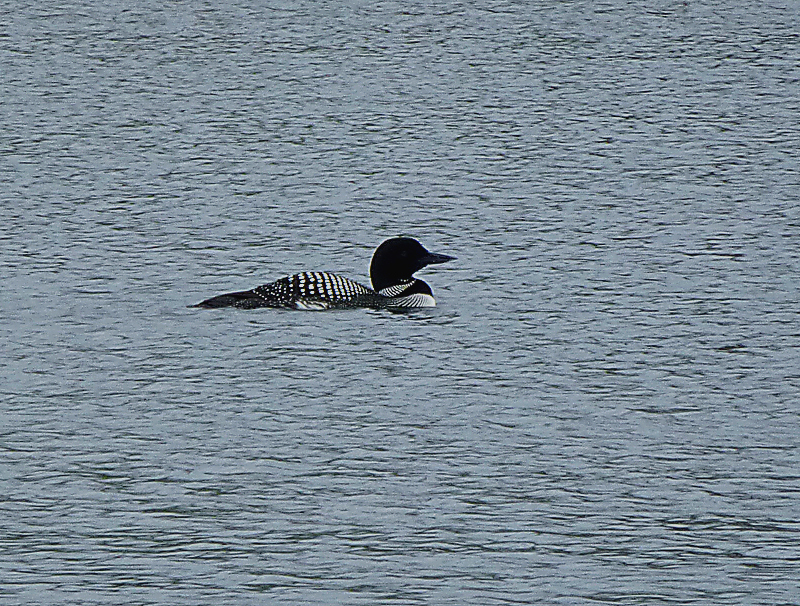 I ran to the closest beachy area where I could see what was out there and there was this gorgeous Common Loon swimming around. He was just beautiful. 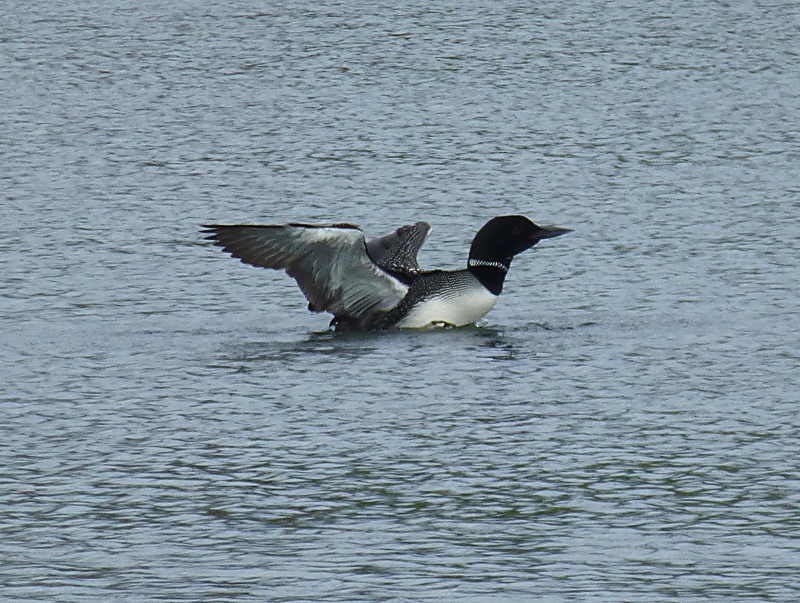 He spread his wings out on the water so I could get a better photograph and then swam about. 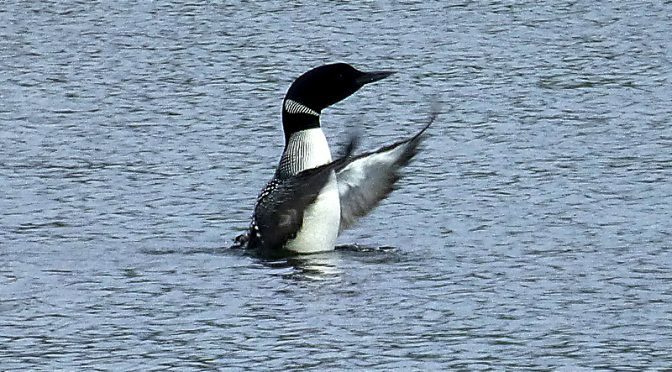 Have you ever seen a Common Loon? Exquisite patterns on his body! I was so surprised to see all of the destruction from the storm with high winds at Wiley Park. There were so many trees that had come down, either broken off half way up or totally uprooted and on its side. It was unbelievable. 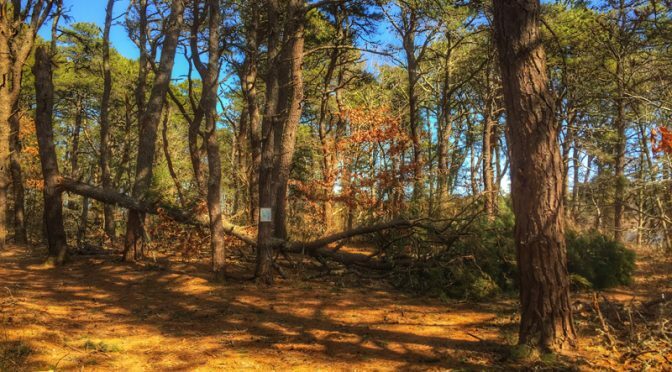 These are just 2 of the many devastated trees along one of the trails, one broken off half way down and the other leaning over the trail. The numbers of trees that have been destroyed this past winter is just unbelievable. We have never seen anything like it! We woke up yesterday to a few flurries in the morning which soon turned into a real snowstorm. By lunchtime we had about 3″ of fluffy, white snow. The temps were in the mid 20s and much colder than the past few weeks. We decided to take a ride around to see if there were any good “photo ops” and found the perfect one at Wiley Park. There is an elf or several elves who put out holiday decorations along the trail at the park. It is really quite endearing. 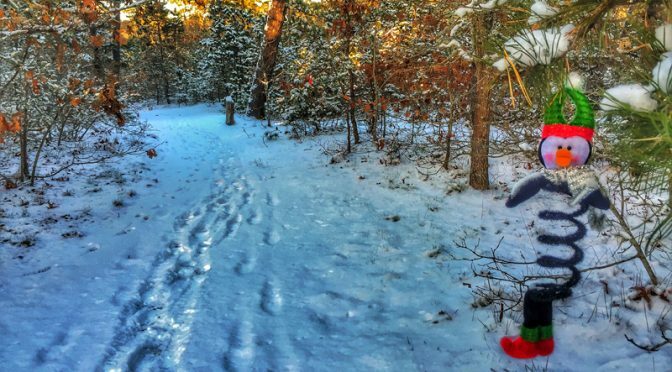 Here and there you might see a little santa or a little snowman or this little guy smiling at you along the trail. What a wonderful idea for this time of year. I remember last year someone brought a few ornaments and put them on one of the little trees by the trail, and little by little other people brought an ornament or two and pretty soon the tree was all decked out in holiday festivity. But that tree was cut down last summer so this must be their new idea and what a great one! It brings a smile to you face all along the trail! The Canada Mayflowers are blooming on the sides of the trails at Wiley Park in Eastham on Cape Cod. They are a small woodland plant with tiny 4-petaled white flowers clustered on stems like miniature bottle brushes. They are often form large colonies. The flowers are under 1/4″ and grow to only 3-6″ in May and June. 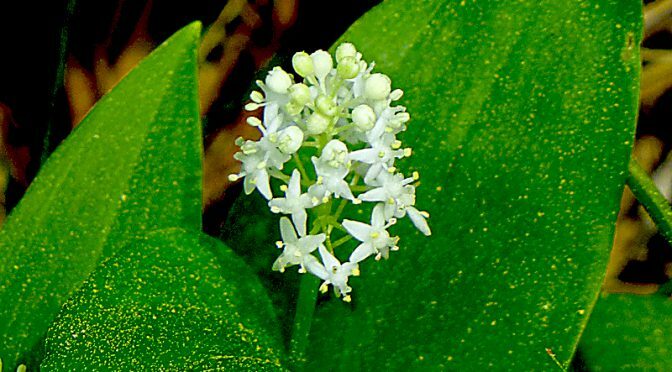 So tiny and delicate… Have you ever seen a Canada Mayflower?